SUPER SKY MECH is an action-arcade game that blends a vertical scrolling shooter with an infiltration-based platformer. It was made in the Champlain College game production program. 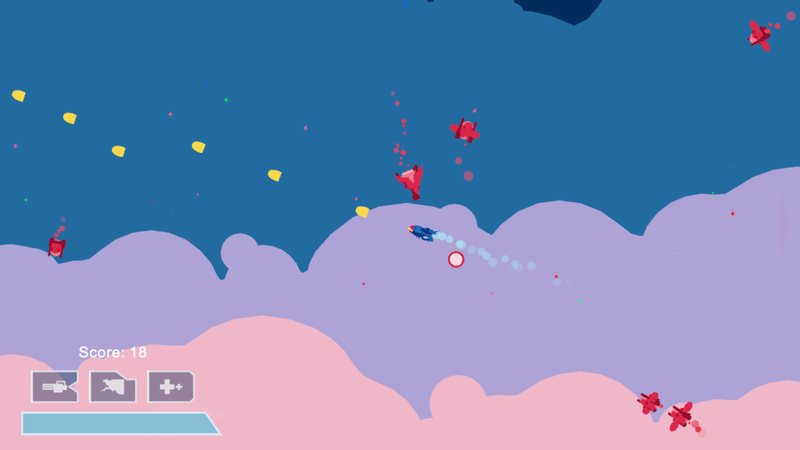 Pilot your ship across the skies, battling a space invasion! Transform into your humanoid form to board the enemy ships and destroy them from within! Rack up a high score and unlock battle cards to upgrade your next play! We built SUPER SKY MECH into a working game cabinet, complete with side art and controls. It lives on Champlain College campus in Burlington, VT.